Nubikk Elise GPS is a low laced hip women's trainer, made of high-grade white leather. 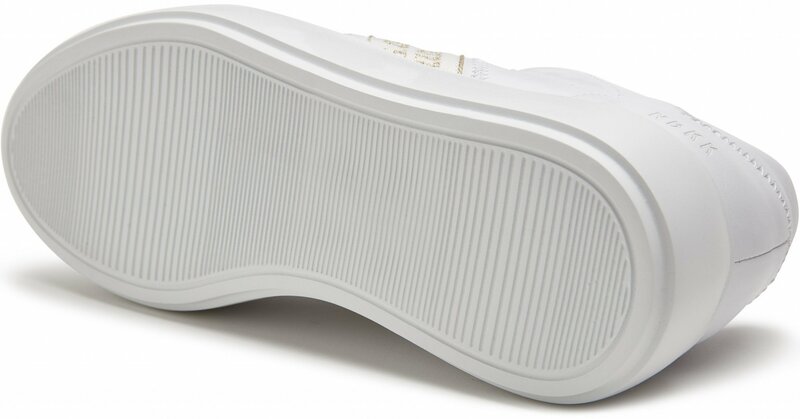 The thicker lightweight sole and Nubikk features make it a rugged Nubikk trainer variety. The Elise GPS is inspired by the '90s. 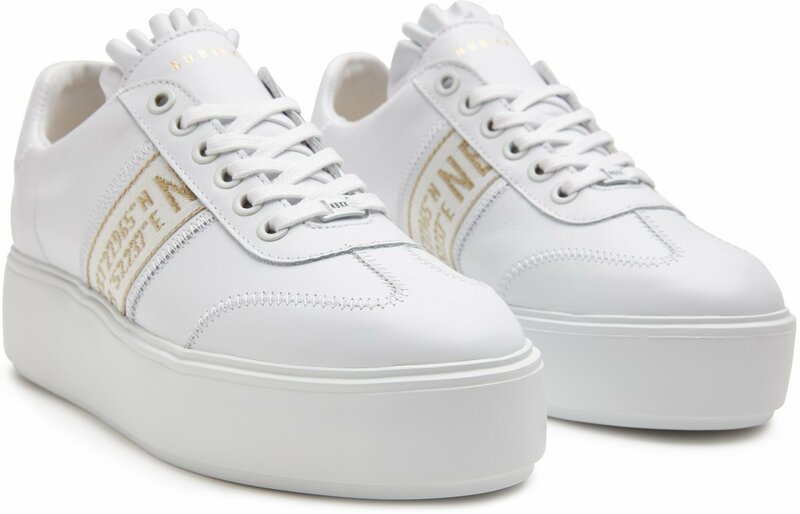 The white platform trainers have a lightweight EVA platform sole for top comfort and provide just that extra bit of 90's glam. These trainers have our unique GPS tape on the side in combination with golden accessories. 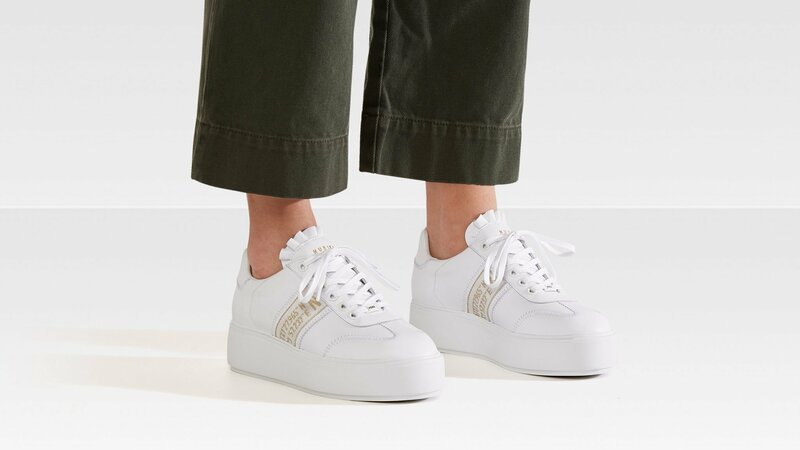 The white trainers give a lift to any outfit, literally and figuratively. The Elise GPS trainers are available in white leather and black nubuck.